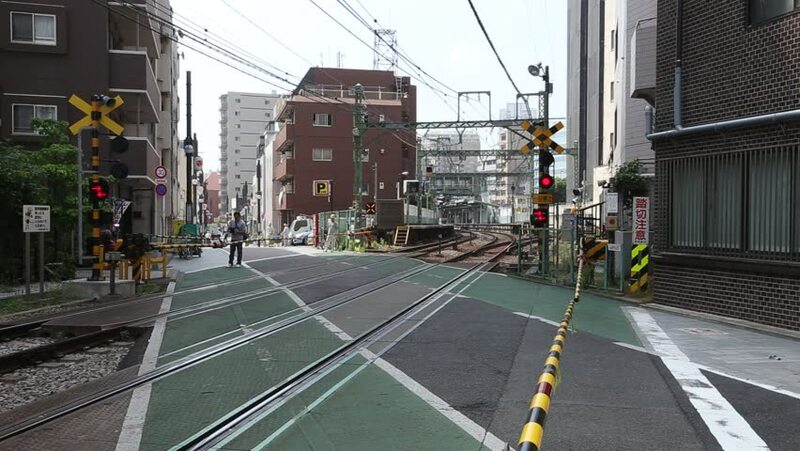 TOKYO -MAY 29: Keikyu Main Line Train crossing a road in Shinagawa area on May 29, 2014 in Tokyo, JP. The Keikyu Main Line is a railway line in Japan, operated by the private railway operator Keikyu. hd01:01Yamanashi - January 22, 2017 : People walking along street in Kofu city in Yamanashi, Japan.